KINSHASA, Congo (CNS) — Congo’s bishops are urgently seeking to rescue a government-opposition peace accord, reached in the final minutes of 2016. The statement was issued amid attempts to ensure implementation of the church-brokered deal, which would allow President Joseph Kabila to remain in power pending elections by late 2017, alongside a government headed by an opposition-nominated prime minister. It said several government ministers had not yet approved the document, which must be finalized and signed by Jan. 28. “Everything done to delay implementation must be seen as nothing other than a mockery,” the council’s spokesman, Vincent de Paul Kekolemba, told Radio Okapi Jan. 22. “The political class wishes to turn in circles, holding the bishops up to derision and clinging to their egotistic instincts. How long will they abuse our patience?” he asked. The Catholic church makes up around half of the 67.5 million inhabitants of the mineral-rich Congo, widely believed Africa’s most Catholic country, where up to 6 million people died in the 1996-2003 conflicts. 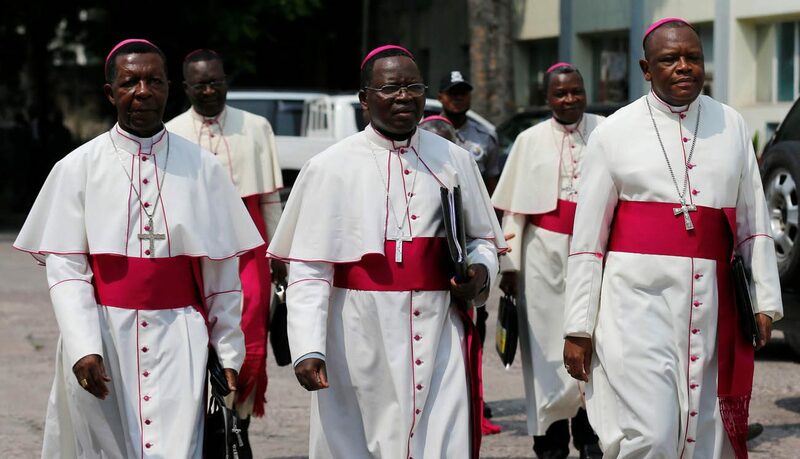 The bishops’ conference launched a mediation bid in August after opposition leaders accused Kabila of seeking to delay elections and retain power after the Dec. 20 expiration of his second and final term. Under the Dec. 31 accord, witnessed in the capital Kinshasa by foreign diplomats, the president must comply with constitutional provisions barring him from a third term and cooperate with a 28-member National Transition Council, headed by opposition leader Etienne Tshisekedi, in preparing elections. However, Agence France-Presse reported Jan. 25 that Tshisekedi, 84, had left for health treatment in Europe. AFP reported that disagreement continued over the choice of prime minister and composition of the Transition Council, and over the fate of some of Congo’s estimated 400 political prisoners.